Rachel Dolezal's 'Vanity Fair' Interview Is Crystal Clear About The Label She Identifies As, And It's Not "Transracial"
In an exclusive interview with Vanity Fair, Rachel Dolezal says she didn't deceive anyone and that she still identifies as black. In Allison Samuels' interview with Dolezal, Dolezal characterizes the scandal surrounding her race as a "big misunderstanding." But Samuels says it's clear that there's not much misunderstanding surrounding the fact that Dolezal is white and identified as black. Rather, Dolezal said the misunderstanding came as the result of bad timing. Dolezal believes that if she had been able to anticipate the scandal, she could have better explained her childhood, and her commitment to and love of black culture, according to Vanity Fair. It’s taken my entire life to negotiate how to identify, and I’ve done a lot of research and a lot of studying. I could have a long conversation, an academic conversation about that. I don’t know. I just feel like I didn’t mislead anybody; I didn’t deceive anybody. If people feel misled or deceived, then sorry that they feel that way, but I believe that’s more due to their definition and construct of race in their own minds than it is to my integrity or honesty, because I wouldn’t say I’m African American, but I would say I’m black, and there’s a difference in those terms. It’s hard to collapse it all into just a single statement about what is. You can’t just say in one sentence what is blackness or what is black culture or what makes you who you are. 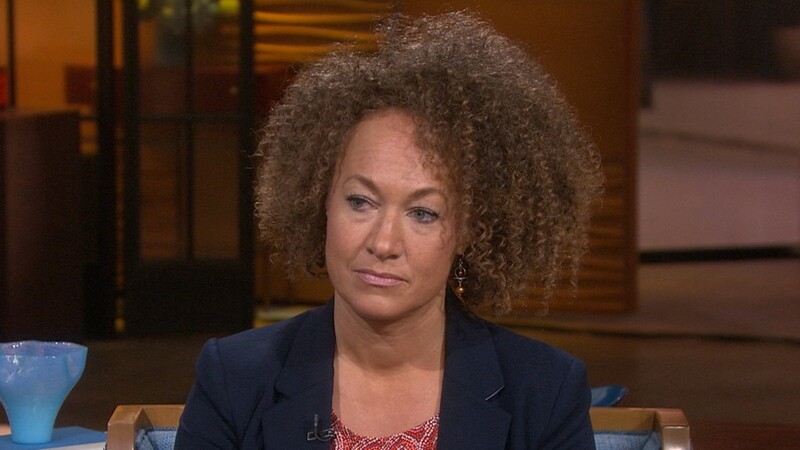 Dolezal said her transition out of the racial social justice movement hasn't been an easy one. She said the new Spokane NAACP president is "cold" toward her, and that she only accepts some responsibility for potentially hurting the credibility of the chapter or of racial justice movements in Spokane. She said her plan is to write a book so that she can explain "this is who I am, and I am black and this is why," according to Vanity Fair. Advocates for racial justice and some parts of the black community have said Dolezal's "identification" as black is actually just cultural appropriation. Some have said that she's undermining the experience of black America because she has "chosen" to be black — a move Dame's Rebecca Carroll called "white privilege on steroids" — when being black and facing the social and political effects of that race are never choices for black people. I feel that people of all races can be allies and advocates, but you can’t portray that you have lived the experience of a particular race that you aren’t part of. In her Vanity Fair interview, Dolezal claims that she's spent all of her life researching black culture — literature, the Civil Rights Movement, black hair — to help her "negotiate" how to do her identity justice. But whether that will ever be enough for her to reenter the black rights movement is a question that hasn't been answered positively so far. It seems that there's something about being "transracial" that's different than being transgender, and we haven't quite put our finger on what that is just yet.